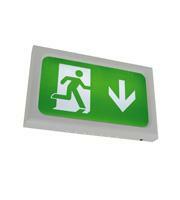 Keep your staff and patrons safe in the event of an emergency with clearly illuminated emergency exit lights. 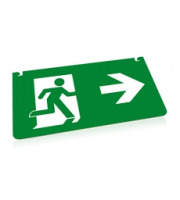 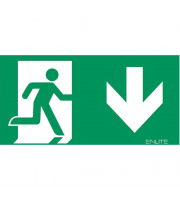 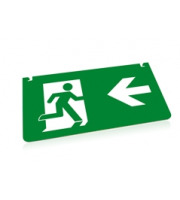 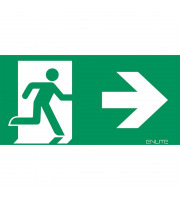 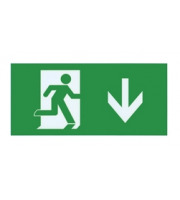 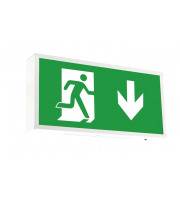 At Direct Trade Supplies, we're proud to offer a number of products to contribute to the health and safety of your building, and clearly light exit signs are among them. 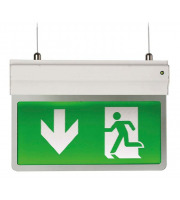 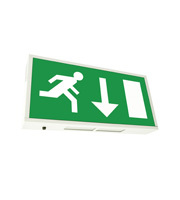 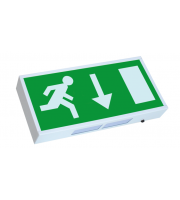 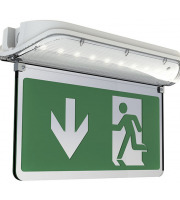 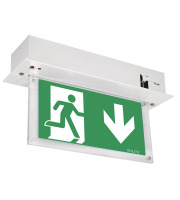 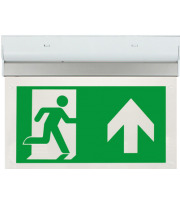 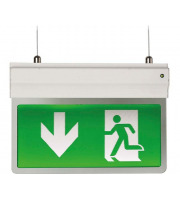 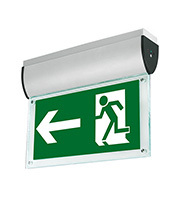 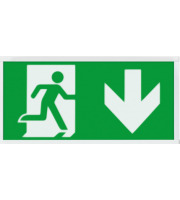 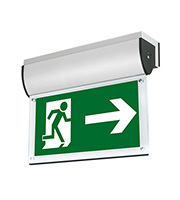 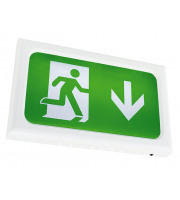 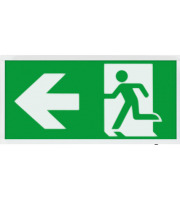 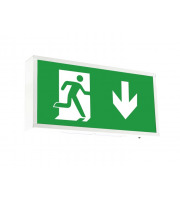 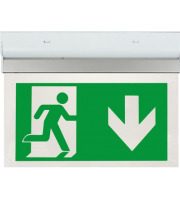 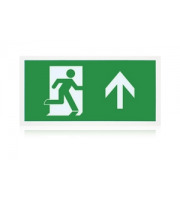 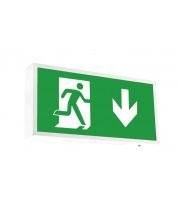 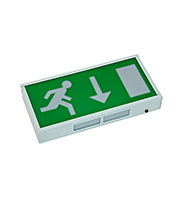 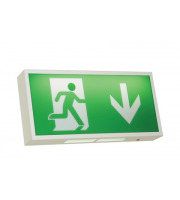 Our emergency exit lights are easy to install, and can guide people in your building to safety in the event of a fire, flood or other emergency. 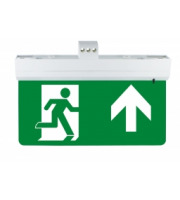 We stock emergency signage that can be fitted above the doors in your restaurant, hotel, office, warehouse or other commercial establishment to ensure the safety of everyone in it. 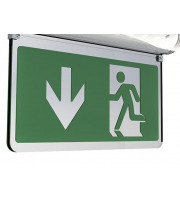 Clearly signed exit points play a pivotal role in a successful evacuation. 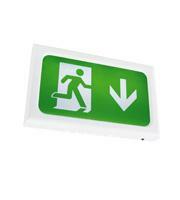 Install fluorescent emergency exit lights by all doors to let everyone know where to turn to without any hesitation. 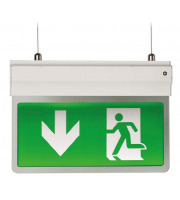 We stock signs that come with back up batteries in order to stay lit up even if the power supply from the mains is lost. 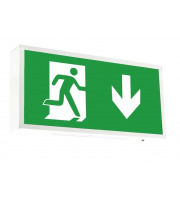 The clear picture and arrows give a clear indication of where people should turn to if they need to leave the building quickly, and the signs themselves are easy to install so you can add them into your establishment with ease. 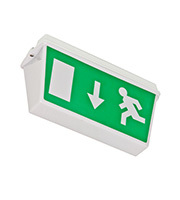 These emergency exit lights can be seen up to 29 metres away, which can make all the difference in the event of an evacuation. 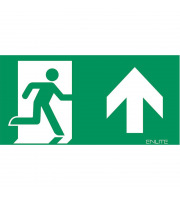 Whether it's for a drill or a real emergency, the people in your building need to be able to see the nearest exit point quickly and clearly. 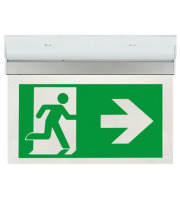 Help them do just that with instantly-recognisable emergency exit lights. 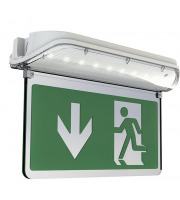 When it comes to safety, you shouldn't have to compromise. 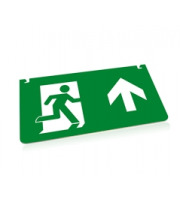 At Direct Trade Supplies, we carry safety signage for use in all establishments at affordable prices, so you can get everything you need in one place and for one low cost. 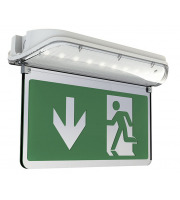 For large orders, contact us on 01752 261211 to discuss further discounts, and save on shipping costs.